is a Chinese supplier and manufacturer producing concrete pole machines/concrete pipe machines. The equipment and moulds meet national standards and can be customized according to the standards of the world. 3.Installation and commissioning of all production machines as well as the workers training. Main bearing part with m ovable swing structure , d rive more reasonable . -High--strength steel materials are used on b oth ends of the tube mold durable. Interface Type includes waist , tongue and groove joint , and p erforated . Gaotang Dingli Construction Machinery Co., Ltd.
,ltd has been regarded as the foreign trade department- of" Hengyuan building material machinery", all abroad (overseas) tasks and international- businesswill be undertaken by "amity care ". We are manufacturer of centrifugal spinning- machine ,mould ,heading machine ,cutting machine,cage welding machine , tension jack- for pre-stress . feeding machine for different capacity ,weave welding machine ,sheet cutting- machine etc. Centrifugal Spun Concrete Pipe Machine Just As Your Need! Qingzhou Lifeng Machinery Co., Ltd. Provide all kinds of product data and let customer understand characteristics of product. Unique service: System upgrade,special design according to the customers&rsquo; requirement, mould renew ,supply new technology and products information. 4.Our goal is to provide you with the best level of customer service, and we welcome your comments and suggestions. 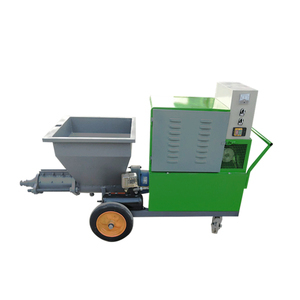 It's with reasonable design, beautiful appearance, reliable operation, easy to operate,etc. Its products are widely applied in the farm irrigation, drainage, quality is very reliable. 2.Q: What is delivery time 9 A: Usually for small machines, we will finish them within 15 days; for bigger machines, within one month, please contact us to talk about it. Qingzhou Hexie Building Material Equipment Co., Ltd.
UNIK Concrete Pipe Making Machine for drainage Unik concrete pipe making machine have been designed as a specialized manufacture reinforced cement concrete pipe and pre-stressed concrete pipe. It is a high-speed,high-performance machine for the manufacturing of concrete pipes in the diameter range from 300mm to 2000mm , with the 2000mm recommended length. We can design and produce the reinforced cement concrete pipe with various kinds of pipe joint, such as plain end, bell and spigot, tongue-and-groove. Alibaba.com offers 27,226 concrete pipe machine products. About 40% of these are construction machinery parts, 17% are pipe making machinery, and 1% are other construction material making machinery. A wide variety of concrete pipe machine options are available to you, such as pipe production line, pipe mill, and pipe molding machine. You can also choose from carbon steel, concrete, and stainless steel. As well as from drain pipe, energy supply pipe, and pipe. 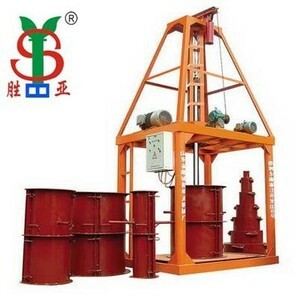 And whether concrete pipe machine is free samples, or paid samples. There are 27,181 concrete pipe machine suppliers, mainly located in Asia. The top supplying countries are China (Mainland), Turkey, and Algeria, which supply 99%, 1%, and 1% of concrete pipe machine respectively. Concrete pipe machine products are most popular in Domestic Market, Mid East, and Southeast Asia. You can ensure product safety by selecting from certified suppliers, including 22,914 with Other, 7,645 with ISO9001, and 533 with ISO14001 certification.